We received an excellent comment from Gareth one of our followers, regarding our work at European Wilderness Society, but he pointed out that ¨there is an important aspect of wilderness that is being overlooked¨ and that is wilderness camping. So from that comment, we had a flurry of internal communications about the subject asking ourselves, is wilderness camping a good idea or not. Do the benefits (people experience wilderness) outweigh the possible consequences (litter, cutting of wood for fire and other disturbances). The comment from Gareth went on to say that he was concerned that he would not be able to enjoy wilderness camping when he moved to Europe from the US next month, because unlike the US, wilderness camping is illegal in many parts of Europe, particular in protected areas. It is generally accepted by everyone in the nature conservation society that tourism and visitors, especially if their numbers are not controlled, have a negative impact on the quality of wilderness. In a study in 2014 by the Bundesamt für Naturschutz in Germany 63% of Germans want more Wilderness and are even willing to accept access restrictions. legal (Norway & Sweden, enshrined in the Allemannsretten – every man or woman’s right of public access). In the US, backcountry camping is completely legal and in most wilderness areas only minimally controlled through overnight permits and therefore an accepted part of having a true wilderness experience. It is an excellent way to connect with the landscape and have experiences you would not normal see or hear, such as the first and last light of the day, the first birdsong of the morning, the sound of the wind and more importantly the sound of silence. Gudrun Pflüger, our resident large carnivore biologist, said it perfectly: “… wilderness camping is leaning back and opening your senses.” In addition, one of the most important aspects of wilderness camping according to Gareth, and we agree, is it inspires those who experience it to protect these areas of solitude and wildness. On the other hand, many Europeans have little experience with camping in a wilderness area simply because of lack of opportunity. The conclusion our team reached was that there needs to be a common framework and strict principles and much more education for wild(erness) camping throughout Europe. In other words, it should be permitted in some areas such as in the transition zone of wilderness areas, but it would only be permitted in the core and restoration zones if it was done with a wilderness guide and/or ranger who can share his/her experience and educate at the same time on how to leave no trace while camping in the wild. In this way, people are able to appreciate wilderness but at the same time, wilderness remains just that – wilderness, there for the next person to enjoy in the same way. Hi Max, thank you for the clarification. I trully did not know that this definition existed. Good to know. As said my experience is that wilderness is subjective and different for everyone. It is great to read that the definition also mentions differences. Perhaps good to combine with different kinds of permits, certificates and number of overnight stays. This might be a good way to earn money which can be invested back to the wilderness areas to ensure protection and ofcourse the surrounding human population, actively involving them more with “their” wilderness. Hi Katharina, thank you for reading and sharing more information. The blog post has generated some good ideas for how to approach wildernes camping. cool article and good discussion. I guess wilderness is really something you cannot only study from books and documentaries, but you also have to open your senses. As what regards Switzerland, the Swiss Alpine Club has published a pretty good overview of the regulations, see here https://www.sac-cas.ch/de/umwelt/bergsport-und-umwelt/campieren-und-biwakieren/ (the leaflet exist also in English). Hi Stefan, well wilderness is defined (see European Wilderness Quality Standard), but the aspect of overnite stays is hotly debated. We support your idea of a certificate, the concepts of permits and the leave no trace framework as a basis for enjoying wilderness day and night. For me, as a wilderness guide in the Black Forest, there is not a more important thing than to let the people experience nature and wilderness. But everything has its concequences. 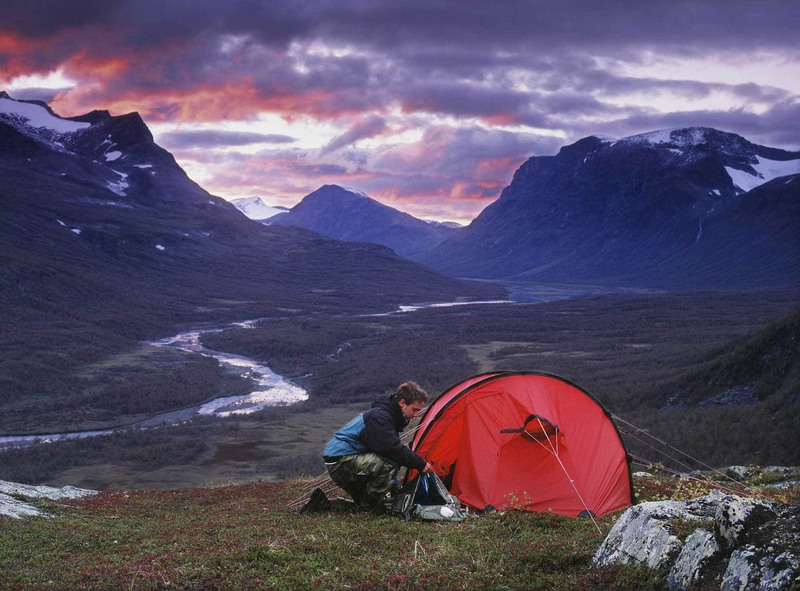 Wilderness camping in Europe is one of the most discussed topics among nature lovers. It is also widely misunderstood. You dont just put up a tent, build a fire or cook without leaving traces, causing damages or disturb the precious wildlife. For this you need common sence and a little training. Perhaps with a wilderness guide or ranger. Just doing this only once in a guided group might give you the understanding of the dangers it imposes and damages it could do. You could get a small certificate and practise further on your own. If you follow the Leave No Trace Framework principles you’ll be surprised what the options and possibilities are. Here in the Black Forest there are plenty of options for enjoying nature/wilderness (very subjective principle by the way) by camping. Just ask around and you will find a small hut in the woods you can use, build a camp-fire safely and sleep under the stary sky. Or join a guide and see wilderness in even the smallest of things. Lets first define Wilderness, then make up the rules. Being able to enjoy in them the completely different experience of self reliant recreation in remote areas unaffected by modern technological society is one of the major reasons for having ‘wilderness areas’ in Australia and New Zealand. They must be large enough for this purpose (requiring at least one overnight stay). Otherwise the nature reserve classification (IUCN protected area category 1A) is more appropriate. Clearly there are such wilderness areas in Norway and Scotland. The problem mentioned of wood fires can be solved by introducing ‘fuel stove only restrictions’. Hi Alan, this is exactly where we in Europe need to invest: educating the potential visitors on no impact camping skills and leave no trace skills. In addition, we need to look at quotas and access regulations. In fact the general public is aware that such restrictions maybe necessary to protect vulnerable flora and fauna sites. US overnight camping regulations vary quite a bit, away from developed campgrounds. Backcountry and wilderness regulations can vary, and they can vary by agency. On many Forest Service lands, including most wildernesses, you can camp most places you aren’t specifically restricted from camping (like maybe within 3 miles of a trailhead in a protected watershed, or in certain wildlife zones of note), but there are some restrictions. That’s not likely the case with the National Parks (except maybe in some Alaska parks and in some wildernesses), where you can generally camp only where specifically allowed. In places where there is heavy use or fragile environments (for any agency), expect assigned campsites in some places and camping restricted to designated campsites in others, or a quota system designed to not exceed a particular designated campsite occupancy rate based on knowledge of travel behavior obtained through travel simulation modeling. In the US there is substantial focus on impacts; behaviors and equipment, not just numbers of people. Generally we can find the opportunities to find the type of day use or overnight trips we are looking for with a good mix of freedom and restrictions, depending what’s important to you. Jim, thank you for your commments and it is subject that needs to be explored further as to how to best allow for the experience without ‘loving it to death’. Your suggestion about permits is a good option and you are also right in saying that most people would not do this type of camping. I think a framework for wilderness camping regulations across Europe is a very good idea. But I dont like the idea of wilderness core camping with a ranger only is a good idea at all. In fact, I think it will detract from the experience. I also dont think it is viable. More workable perhaps is the idea of a lottery of camping permits. That is that anyone and everyone who wants to apply for a backcountry permit can but permits are limited. For example, 2000 camping nights in Tatras a year, max limit 4 nights. Max limit four people per group. This type of thing works well in numerous places in the United States. I think that you will find that for MOST places this is a non-issue in Europe. Because most Europeans will never go camping. Just like with Americans. There are a few problem areas that will have to be more tightly controlled.